I focus on topics most essential to forging a new, functional economy in the 21st century. I delve into publications on such topics as behavioral economics, social theory, and social scientists. I weave their wisdom with my own stories and reinforce the points that aid in understanding where our culture is going. My posts illustrate how the premise of each work has resonated with me and will perhaps do the same for the reader. I love doing the research. I love finding what sticks and finding how much it resonates throughout our culture in as many different forms as I can find. Then I write about them, link to them and encourage others to contribute. Today is Wednesday, January 27, 2016 and the good ol' Seattle Times has given me the best excuse to make a decision to stop blogging. So let's get right to it. What was on the pages of the Times this morning? It was the confluence of two different but somehow related stories that really caught my attention. On A2 the headline reads: Panel urges all U.S. adults be screened for depression. Then, on B1 the headline reads: Mayor Ed Murray defends actions on homelessness. There is something about that A2 headline that kinda makes me laugh. If you've been paying attention at all to how people feel these days about the prospects for their lives, do you really think screening them for depression is going to unearth anything valuable? If it is not obvious by now what would drive the average person to be depressed, confirming the fact won't change a damn thing. It is a newspaper article after all so they're required to get quickly to the bottom line: lost productivity cost an additional $23 billion in 2011. Lost? I don't think so. You may have picked up on the fact that the productivity of an American worker is not reflected in his wages but in the profits sent much further up the food chain. Nothing is lost. We're just bumping up against the limits of corporate greed by seeing the toll it takes on people whose only ambition is to work for a living. Perhaps the strangest statement came at the very end. The task force gave the recommendations a grade of B based on how much clinical evidence there is to support their findings, a rating that should provide coverage for the screenings under the Affordable Care Act. So let me get this straight: If theses folks all agree that the depression situation is bad enough, well, gosh, then if we rate it as above average in severity and importance then at least the govmint will pay for us to tell folks, uh, yup, you're depressed all right. ...But dang! Please don't start abusing stuff or gettin' in trouble cuz darn it, you just won't be productive enough. Please take this pill instead. NEEEEEEEEEEEEEEEEXT! It turns out even the mayor of our fair city has reason to be depressed these days. The Times tells us: Seattle will spend about $50 million in 2016 to combat homelessness, but Murray said the city can't solve it unless it receives more help. It's about the fact that we don't fund mental health. It's about the fact that we're in a national heroin epidemic, he said. It's about the fact that income inequality has made it hard for some people who work to sleep anywhere except in a tent in an illegal spot. Both of these articles make it abundantly clear that we have plenty of experts who know exactly how to identify the causes of problems. Unfortunately, even when these problems are at the peak of crisis the main cry is always that somehow there isn't enough money to deal with them. As long as we believe this we will suffer the consequences. There is enough money in the world, its just managed by people who control way too much of it. You do know the difference between a billion and a million, right? At times like this I am often reminded of the adage that in this world there is always enough for human need but not enough for human greed. My human need is to step back from time spent online so that I can better attend to the matters of real life. I've allowed myself to get so caught up in the things that bring us all down. It takes time away from what I might be doing to bring my loved ones and I back up. Redirecting the only energy I've got is pretty important business. I've loved blogging, but I'm just one more voice in all the noise that we're drowning in. I'd like to see what I can do besides "pushing electrons" as my darling husband puts it. So it is with a sense of relief and fairly drawn conclusion that I bid a very fond farewell to The Twenty-First Century Citizen. I appreciate any and all who have read my meandering thoughts and chimed in or even just smiled. Hang in there. Be well. Love your peeps. How do you know when the book is finished? Earlier this year someone advised me that maybe I was too hasty in wanting to finish the production of my book. More editing, more revisions. I realized that I already knew my energy was spent. If I had forced myself to go through more rounds of revisions, I would have created a different work, but would it be better? Everything in me said: No. I'm done. For better or worse, my book became its present form from that decision. I realized that so many of the things I touched on, especially in chapter five and the epilogue, could have been expanded and made more elaborate. That would have taken more time, effort, ruminating. Ah, rumination. It is what cows and goats do. When you have multiple stomachs it comes easy. I only have one and I have to save it for current nourishment. I can only be an expert in how to manage my own life. I look to the experience of others to see if anyone else is doing it better or smarter. The people I mention in the book are prominent in the area known as "thought leadership." It is a useful term. It is difficult to describe or explain that sense of knowing that the finish line has been achieved. To give you a Hollywood metaphor, it is similar to when George Bailey, after having seen life in Bedford Falls without his presence, realizes he still wants to live. He tells Clarence that he wants to live again. "Please, God, I want to live again." 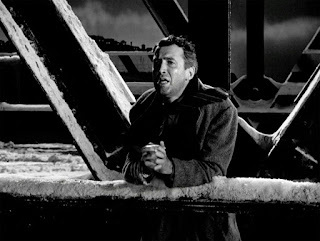 At the invocation of the deity, it begins to snow and Bert shows up to take him home. The events described in the book changed me. Some for the better, some definitely for the worse. Some tendencies I already knew I had were made deeper and richer, but not in a good way. I've mixed a sort of gallows humor with all the characteristics of a classic misanthrope. Even as I think the human species is worth saving, I think it shouldn't be. I'm kind of beginning to see why the major world religions believe in a god oriented toward punishment. If I were god, I'd say we're long over due for a plague of some sort. But wait, you could argue we are in multiple global ones right now, and we just don't see it. But all that is just mind play at the moment. I want to get back to real life. Even though it may be economically hindered, it is still mine, and I'll take whatever I have left of it. I'm ready any time, Clarence. You already know that you're connected with the people who can help you piece the puzzle together. You are not alone. Your work will become as visible and embraced as you want it to be. I'm willing to support you. Are you willing to support me? No question will go unasked. No question will go unanswered. May there be laughter along the way. This morning someone encouraged me to blog about why I self-published my book. I'll tell you why. After making a few attempts at writing a marketing piece, a proposal, and an author's bio, I had to step back and reflect. Do I know what I'm doing? Am I any good at this? No. It makes me feel like an impostor, and that has nothing to do with self-esteem. I esteem myself just fine, I just don't think I do this marketing thing very well. I think the reason for that is because I associate marketing with spin, and with lies, or at least half-truths. So what can I do? I can talk about my book, and why I wrote it, and what I was trying to accomplish from having written it. I know, you may be saying, but Marcella, that IS marketing. OK. Granted. But the truth is I fear there will be rules to follow that I don't know about, and if I try this thing called marketing then it is clear to me that I will break ALL OF THEM. Then I will be found out as the newbie, and that silly person who has that special blend of confidence and naivete that we call gumption--the kind where they pat you on the head and say, Aaww, how cute, you published a book all by yourself, aren't you a clever girl. Good grief. See where this is going? It is already laughable, and I want to be a serious author, dag nab it! So I'm going to step back again and see this from a distance. I live in a time in history that allows me access to certain miracles of mass communication. That's how I think of self-publishing. It is all very new to me. I am a completely self-taught participant. It has been a lot of work, but also a lot of fun. I have absolutely no background in traditional publishing and no contacts in that world. I wouldn't know where to begin the process of presenting myself to a publisher. I have no particular authority or expertise; I have no readership, no author platform. Approaching any publishing house, I would come armed only with a manuscript of unknown quality just like thousands and thousands before and after me. It's not difficult to see how easily intimidation like that works within a single mind, let alone so many others who want to publish their work. The only difference is that I gave myself permission to do so. Yep. That's it. I just did it because I really, really wanted to. I have the same needs for self-expression as most people do. For me, self-publishing the book is just like that cave woman dipping her hand in red pigment and pressing her palm against the wall. Living in the information age just means not having to wait to be discovered by some wandering shepherd. I'm willing to wait for all the souls wandering the internet. Never wallow in your troubles; despair must be kept private and brief. This is typical advice, and I've tried to follow it as much as humanly possible. The drawback of being intelligent and well-informed is a dangerous inability to think your despair doesn't matter. Even if you come to the conclusion that ultimately you can do very little about it, you must still, at least, consider the source of it carefully enough to understand the real root. This is from her autobiography, Living With a Wild God. I have since come across many other quoted sentences that didn't make their way into the book, thoughts from Dmitry Orlov, Chris Hedges, and so many more. It seems there is no end to all the things that might have made their way into the book. The endless process of picking and choosing what to include and how to weave it into the narrative kept me busy for two years. Now with the launch of my book I'll have to construct conversations around why I did it and what the hell I thought would come of it. At least, I'll have to think about how I might like to answer some of the more typical questions that will arise. As with so many unanticipatable events, I'll probably just open my mouth and start expounding on whatever is forefront in my mind at the moment. I've been living this topic for so long it isn't difficult just to begin. Where it goes from there--Who knows? There is a certain relaxation you can experience when you realize how worn down you are. Like an old river rock, you've been battered by the endless stream of water washing over you for so long, that now your edges are gone, the surfaces are smooth, you are perfect as an egg, naked, raw, and unmistakable. This is what I aspire to be. And so ends this stream of consciousness for today. Just wanted to let you know that if you find yourself in the north end of Seattle on the evening of Saturday, November 7th, please consider stopping by the Kerf International Gallery. I will be participating in an opening called Thirty women over Thirty. In this case, the art is my recently self-published book, Fallout from the Workforce: Living in a post-career world and the people who teach us. I met the gallery owner, Dave Felker, this year. He has taken this little spot in the Wallingford Center (1815 N. 45th St., to be exact), and turned it into a showcase for artists of all kinds. The fact that he invited me to launch my book during the opening of this exhibit tells you a little something about how welcoming he is to creative folks of all stripes. He has a genuine desire to help people bring their work to a wide audience. Please consider joining us at 6:00 p.m. Saturday, November 7th. I'll be there signing books, fielding questions, and talking about my work. 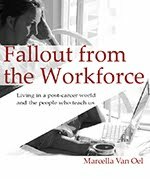 October begins with the publication of my book Fallout from the workforce. I'm experiencing a numbed silence that comes from so many mixed emotions that I feel suspended in this tiny, but significant moment. Lately, I've been excited at the thought of returning to blogging after taking such an extended time away from it to finish the book. If you decide to read it, here's what you'll find. Life as a member of the contingent workforce gives you a front row seat to the freak show of the job search industry. Steeped in appeals to prove value in a shape shifting labor market, the author turns her klieg light questioning to the world of the unemployed. Trying to avoid despair in the wake of a dead end career, she listens to the stories of other seekers. She then concludes what she has long suspected: the unspoken, unrealistic expectations of the American hiring machine thwarts the intentions of the men and women still seeking to control their connection to work. Fallout from the Workforce is a story of self-discovery in combination with critique and analysis. The author brings together the stories of job seekers, and filters through a mass of conventional work search advice, finding wisdom in unexpected places. By piecing together the counsel of contemporary philosophers and psychologists she unearths a newly formed world view. The remedies to the conundrums she presents are at times ancient in their origins and novel in their approach to understanding the pressures of the contemporary workplace. The ramifications of a tech-driven world while still not well understood for their magnitude of disruption, ultimately leaves this story an unending one. The phenomenon of the Great Recession, rather than being a temporary glitch, has been a destroyer of business-as-usual for millions. Fallout from the Workforce acknowledges the many thinkers of our time trying to steer us out of this period and toward the evolution of society. They lead us to a place where all can thrive as we pass through even greater disruptions to come. There will be LOTS more commentary on this topic in weeks to come. Meanwhile, dig in! Leave a comment. Get busy. See you in cyberspace. Ciao.